After more than a decade of inactivity, in 2008 That Petrol Emotion returned to live performance with several Festival appearances. 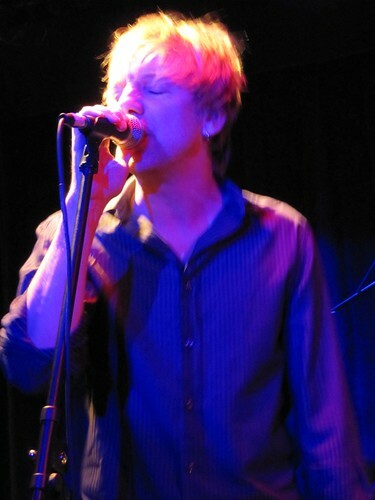 In 2009, the band continued their return and played their first NYC show in fifteen years at the Bell House in December. While the fifteen-song setlist consisted primarily of material from their final two albums, Chemicrazy and Fireproof, TPE did reach back for two numbers from their 1986 debut Manic Pop Thrill. The performance was remarkable not only for the tight musical play, but also the energy the band brought to the stage — lead singer Steve Mack in particular exhibited the physical energy of a man half his age. The set closed with a manic version of “Scumsurfin'” which the band stretched out to an intense seven minutes. This set was recorded with a soundboard feed mixed with the Neumann microphones from our usual location in this venue. The sound quality is quite good. Enjoy! If you email nyctaper for access to this recording, we expect that you will PLEASE SUPPORT That Petrol Emotion, visit their website, and purchase their official releases from links at the music link at their website [here]. Many thanks for all your generous shares, much appreciated.